We've taken our most popular sativa-dominant strain and infused its natural terpene profile into our ultra pure, high potency distillate. We use the most advanced CCELL cartridges to ensure unrivaled taste in every hit. 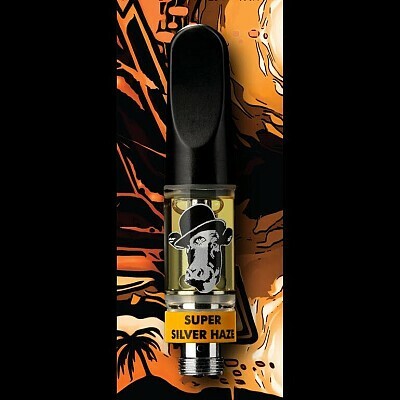 Super Silver Haze is famous for its unmistakable Haze aroma. We biomapped this terpene profile and infused in its same terpenes to give the highly customized vape cart nearly the identical flavor, aroma and effect of Super Silver Haze flower. This one-of-a-kind profile is unlike any other vape on the market! Super Silver Haze is our featured "Daytime" sativa-dominant strain. Elevate your experience and pair your Super Silver Haze vape cart with music festivals, hikes with friends, study breaks or with your morning coffee.